Open the doors to more freedom at Eisenach Village in Waverly.. the ideal independent retirement community for active seniors. Experience new learning opportunities, enriching friendships and a sense of belonging! 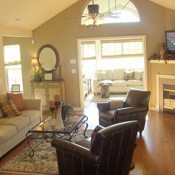 Eisenach Village… so close to everything you value… come see for yourself! Are you spending too much time and money maintaining the house? It’s the constant upkeep and costs associated with home ownership that can stall your retirement. 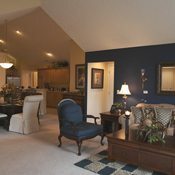 But at a full-service retirement community like Eisenach Village, your home is 100% maintenance-free! 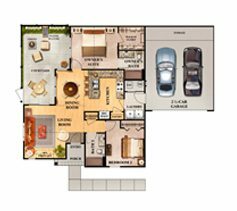 Eisenach Village is a new type of active adult community with a focus on freedom… freedom from the chores and home maintenance of everyday life and freedom to experience the lifestyle, leisure and learning that the community offers. Eisenach Village is located in Waverly, Iowa just north of the Bartels Lutheran Retirement Community campus and west of the Wartburg College campus. Eisenach Village’s unique connection with Wartburg College will give residents exclusive perks including, but not limited to, free admittance to all Wartburg athletic events, free admittance to all Wartburg recitals and music ensemble concerts, tuition-free and enrollment as an auditor in classes with available seats. 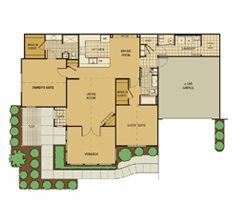 Eisenach Village homes are designed to facilitate an active lifestyle free from maintenance and landscaping worries that may plague home owners in single-family homes while still maintaining stunning architectural detail and design. 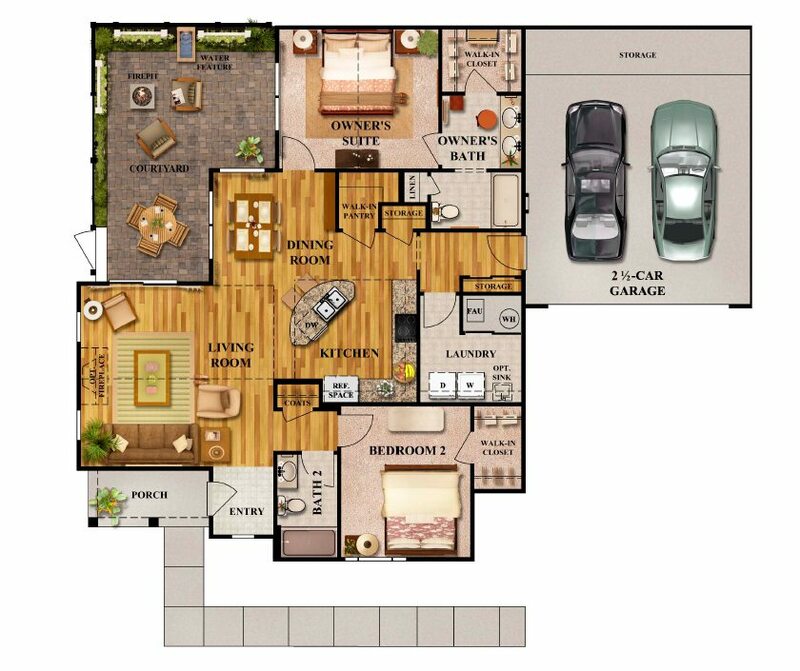 It features beautifully designed, carefully crafted, maintenance-free homes for active adults. 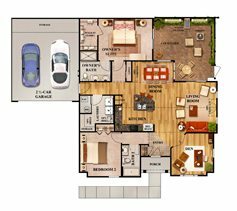 Homeowners will have their choice of six customizable floor plans, ranging from approximately 1,100 to 1,800 square feet. 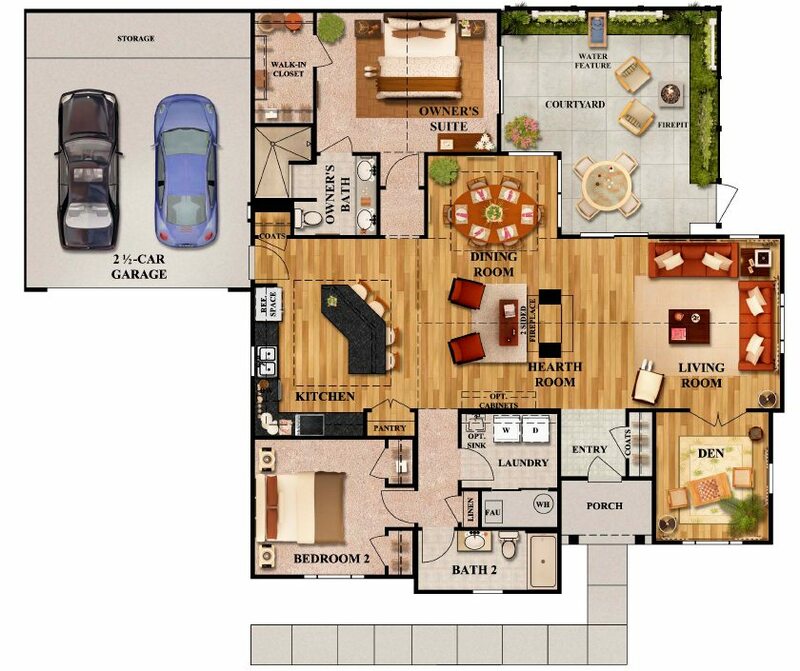 Some designs feature private courtyards, spacious sun rooms and other lifestyle amenities. For the Eisenach Village Klubhaus activity calendar, CLICK HERE. Priority consideration for access to other Bartels Lutheran Retirement Community facilities and services. 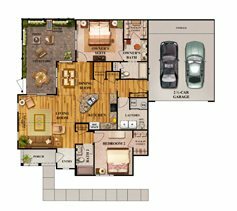 Insurance of the home structures and Klubhaus. 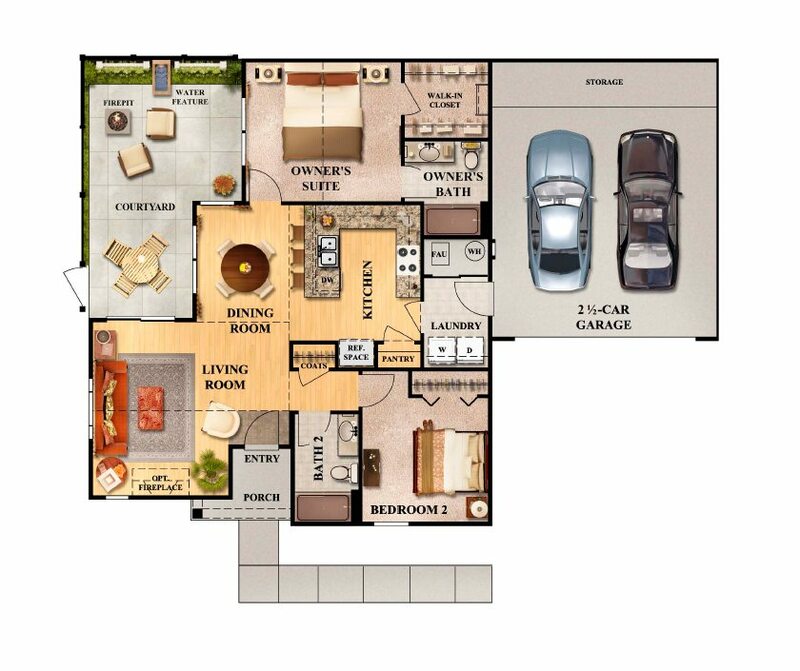 * Includes furnace, air conditioner, water heater, water softener, clothes washer, clothes dryer, kitchen range, refrigerator, microwave oven, dishwasher, garbage disposal, and garage door opener (excluding additional costs for elected upgrades). 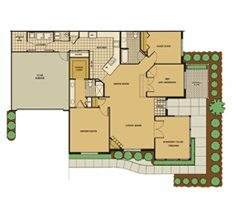 With the Courtyard Collection, enjoy the comfortable fit of “rightsizing” without sacrificing on beautiful architectural detail. 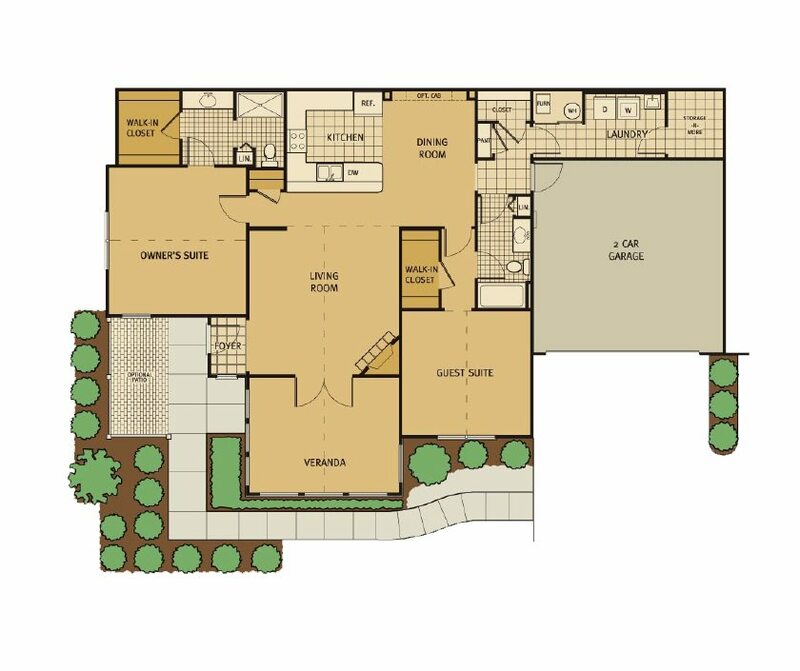 The openness of the great room sets the tone for the entire floor plan, which is intended to enhance the concept of single-story living. 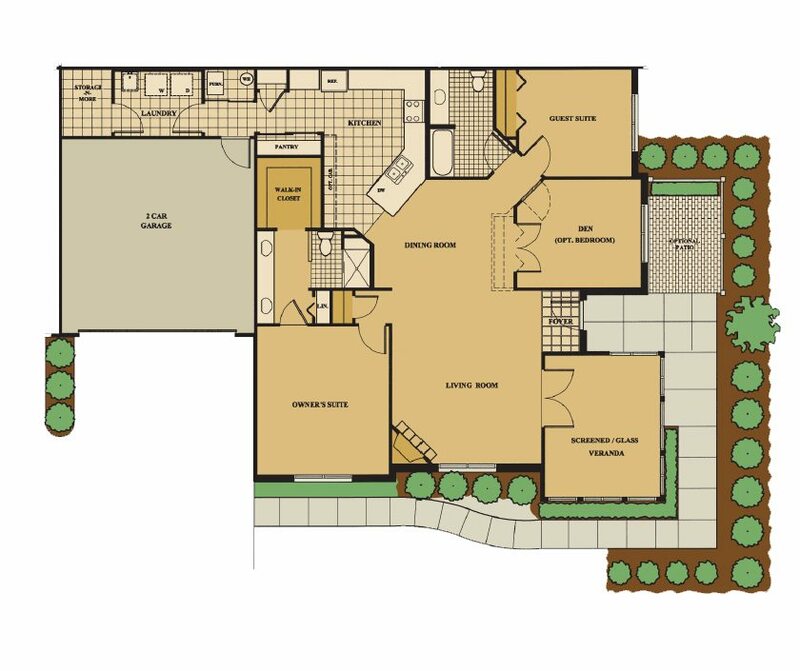 Each floor plan includes two bedrooms and two baths as well as a private outdoor courtyard. The owner’s suite features walk-in closet and private bath. ▶ What is the relationship between Eisenach Village and Wartburg College? Eisenach Village and Wartburg College have a unique connection. Wartburg College offers residents exclusive perks including, but not limited to, free admittance to all Wartburg home athletic events, free admittance to all Wartburg recitals and music ensemble concerts, tuition-free enrollment as an auditor in classes with available seats, a discount on Artist Series season tickets, and more. While Eisenach Village enjoys a very special relationship with Wartburg College, our residents need not be faculty/staff members or a graduates of Wartburg to enjoy these benefits. ▶ What happens if I need more care? As a resident of Eisenach Village, you will enjoy peace-of-mind knowing additional health care will be available in your own home or on Bartels campus. ▶ Will I be responsible for the resale of my Eisenach Village home? Bartels is responsible for the resale of your home, allowing for the payment of your entrance fee refund. Your only responsibility will be to remove your personal property from your home. No hassles for you, your family or your estate! ▶ Does Eisenach Village allow pets? Eisenach Village will allow residents to maintain “domestic pets” in their respective homes under the conditions specified in the Pet Policy. ▶ What offers the most appeal to residents? 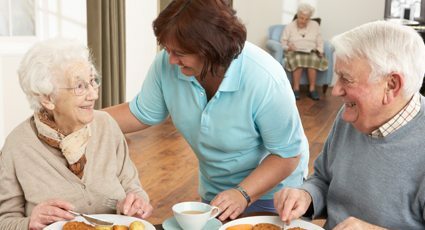 The concept of CCRC independent living appeals, for the most part, to people who are active, engaging and seeking a lifestyle of less work and more freedom. 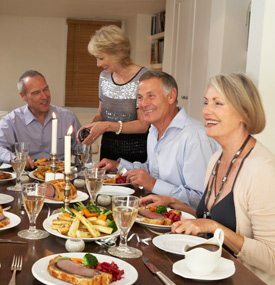 The sense of community, found in a neighborhood where residents of a CCRC often enjoy a similar lifestyle, is appealing. 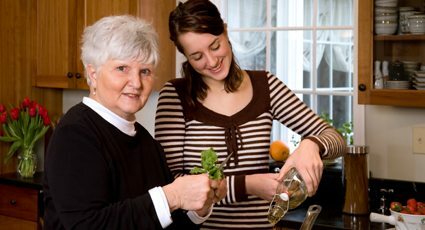 CCRC residents often enjoy a longer and more productive life than persons living on their own. 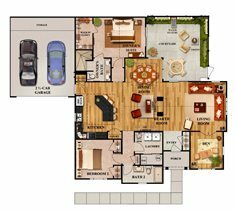 ▶ Will I be able to customize my Eisenach Village home? Eisenach Village residents are very involved in the building process of their new home. 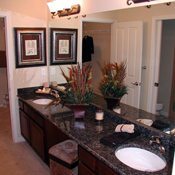 A wide variety of choices are available in cabinetry, flooring, countertops, appliances, etc. 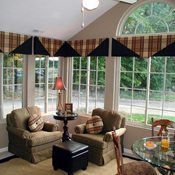 to personalize your home to your own taste and style. 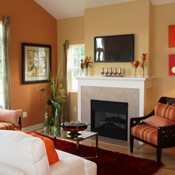 Eisenach Village is committed to using high-quality, energy-efficient products throughout our homes. ▶ Are there any other fees? There is a low monthly fee which covers lawn and landscape care, snow removal, all structural maintenance, plumbing, electrical, HVAC, appliance repair and/or replacement, use of the clubhouse, and building insurance. ▶ Do I rent my home, or am I buying it? You will have a living unit agreement with Bartels requiring the payment of an entrance fee. At Eisenach Village, most of this entrance fee is refundable to you, your heirs, or your estate when you no longer live there. You enjoy all the benefits of home ownership without the hassles or responsibility for maintaining your home. In addition, Bartels insures your home so you would only need personal property insurance. Full-time, on-site maintenance team: The Eisenach Village Staff will take care of your home. It’s like having a personal plumber, electrician, and handyman all at your beck and call! Additional fees may apply depending on the work requested. Travel without a care: Whether you’re heading out for a long weekend or a month-long cruise, just lock your door and go. You can enjoy your travels more knowing that your lawn will be mowed, your snow shoveled and your home monitored. ▶ What is a Continuing Care Retirement Community (CCRC)? 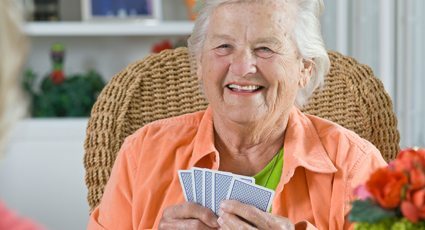 A Continuing Care Retirement Community, or CCRC, is an age-restricted, amenity-rich place where you live independently with additional services available should the need for care arise. In plain terms, CCRCs are retirement living communities with an important added benefit: lifetime care. 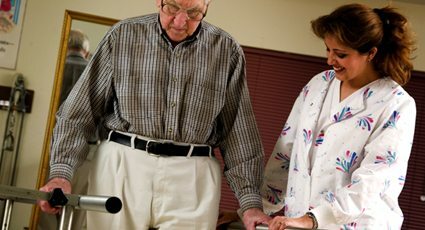 When you choose an independent living option, you will likely pay an entrance fee, which also is considered an investment because most CCRCs allow you, your estate, and/or your family to gain back a large percentage of this fee as a refund (at Eisenach Village it’s at least 80%, depending on the contract). You will also pay a monthly fee that covers home maintenance and services. ▶ What makes Eisenach Village different than other retirement communities? 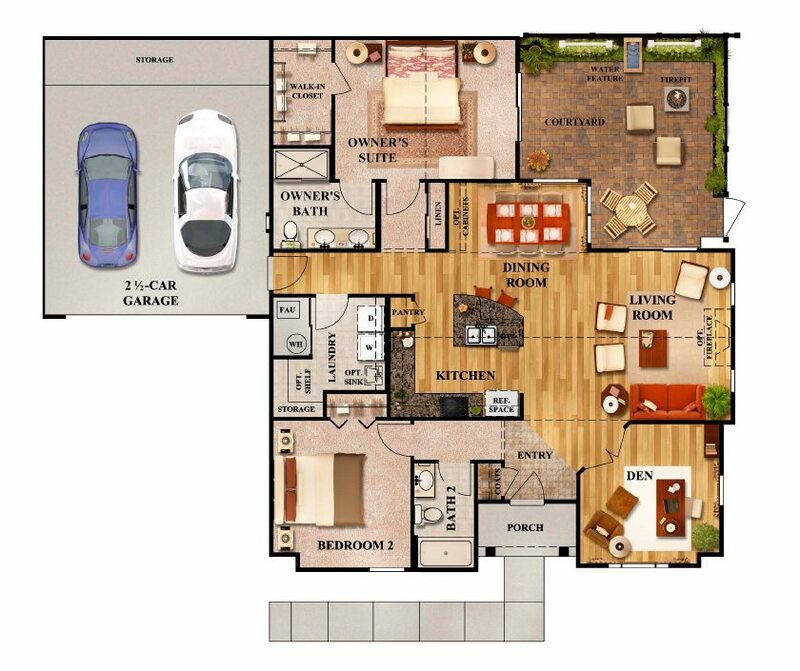 Eisenach Village is a new type of active adult community with a focus on lifestyle… offering freedom from the chores and home maintenance of everyday life and freedom to experience the lifestyle, leisure and learning that the community offers. 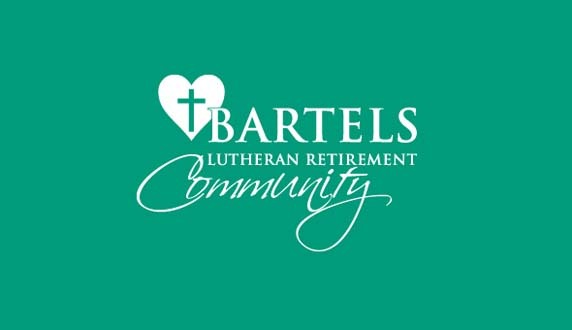 Eisenach Village is an independent living community developed by Bartels Lutheran Retirement Community, a well established , highly respected Continuing Care Retirement Community in Waverly, Iowa. Do you still have questions? Are you not sure if Eisenach Village is right for you or your loved one? Click here to contact us and one of our caring representatives will be in touch you to answer any of your questions or concerns.